With the city of Sheffield being only 45 minutes from our parachute centre, Skydive Hibaldstow is pleased to offer charity skydiving for those wanting to support a South Yorkshire based charity. Help improve care and treatment for local patients. Do something wonderful for the people of Sheffield at the most difficult time in their lives. Help to fund special equipment, pioneering research, patient and family support services and the transformation of our hospitals into more comfortable and welcoming environments. Support Sheffield Hospitals Charity and help thousands of patients being treated for almost every type of condition in the Northern General, Royal Hallamshire, Weston Park, Jessop Wing and Charles Clifford Dental hospitals. 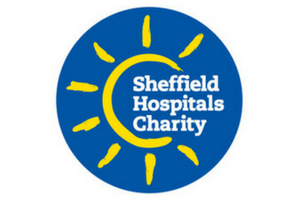 Sheffield Hospitals Charity suggest you raise a minimum of £400 per person to take part in a charity skydive. This covers the cost of the jump £200 and a donation of at least £200 to the charity. Every extra penny over this amount also goes to the charity so try and raise as much as you can. Or if you can’t make these dates then you are welcome to book your charity skydive for any date that we have availability. Send your completed registration form to the charity by email or post. All monies should be paid directly to the charity who will arrange payment of the skydive with the parachute centre.